*Outside consultation hours and weekend Appointments are an additional charge of $25 and based on availability. These are days and times outside of Tuesday-Thursdays 9 AM-4 PM EST schedule. *Weekend Appointments are based on availability and at no charge to coaching clients. How do I book an appointment for an Intuitive Consultation or a Coaching Session? You can click on the “Book an Appointment” menu link (or click here for the shortcut), choose the service you want to book and follow the instructions from there. You can also contact the office by email or phone if you are having difficulty booking. If you call after business hours, your call will be returned within 24-hours. If you prefer a Skype/Video call, please specify in the notes on your appointment request AND provide to us your Skype ID. You can send a request to us to become a contact by sending to XMASMILLER on Skype. Weekend appointments are an additional fee of $25 and based on availability. Please contact the office by email or phone if you need to book a weekend appointment. You can wait to pay the additional fee once you confirm the weekend that is available or you can pay in advance and contact us to work the schedule out. Do you offer emergency sessions or services outside of business hours? The services offered and listed on our website is what is currently available. If you find yourself in an emergency situation, please call 911. Otherwise, please feel free to book a consultation or coaching session through our appointment portal during business hours. What happens if I miss my appointment or don’t show up? There are no refunds for consultations and coaching sessions with the exception of the coaching agreement for coaching packages. With that in mind, appointments are booked on a first come, first serve pre-payment basis. This is to ensure that your appointment slot is available to you when you want it. If you are not available at the time of your scheduled appointment, you forfeit your entire session. 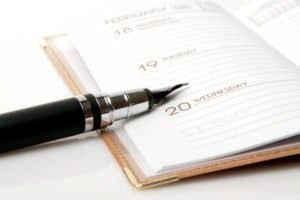 If you contact us in writing within 24 hours prior to your appointment or make the change online yourself, you have the opportunity to reschedule your session. You have the ability to change your appointment via the email confirmation you receive when scheduling but you can only make the change online if your appointment is booked over 24 hours from the time of change. If it is under 24 hours you will have to contact the office by phone or via email. If you make more than three (3) appointment changes within a 6-month period, you may forfeit your ability to receive services. This notification requirement process ensures that you don’t forfeit your session after making payment. If you purchased a bundled package of minutes, booked a session and are not available at the time of your appointment you forfeit the minutes that you have booked. They will be subtracted from your package. We understand that things come up and changes need to be made which is why we ask that you notify us ahead of time. If you fail to do this you will loose your session time. What are your fees for your services? You can find the current prices of services offered on the “Shop” page. Click on the “Shop” menu button to be taken there to view all of our current services and products available for purchase (or click here for the shortcut). Choose your service or product and add to cart. When you are ready to check out, proceed to checkout. We accept all major credit cards and debit cards with the Visa or Mastercard logo. We accept payments online and over the phone. When providing your payment over the phone, please have your card ready with your complete billing details. We do not accept checks. We accept payments via PayPal and Square. You do not need a PayPal account to purchase on our website. Yes, we make our high-quality services and premium programs affordable through payment plans. These services and programs will indicate a payment plan is available and often provide a direct link to pay. Details of the payment fee schedule will be given for those purchases. Be prepared with your questions and available at the time of your appointment. You will be phoned or meet up with me on Skype (if preferred and requested on your appointment request). The first few minutes is direct information given and the remaining majority of time is Q&A. At the time of Q&A, you may address your concerns. Your session will be recorded and a secure link that accesses your audio file will be emailed to you within 7 business days. Please follow the instructions carefully. If you do, you will have no problem accessing your file. How accurate and experienced are Christmas’ sessions? The information exchange given to clients over the last 17 years has been described extremely accurate, detailed, helpful and practical by clients. Many clients go back to the beginning of the practice and have referred many of their family members, co-works, and friends. Consultations and coaching sessions are designed to empower so that YOU make decisions that make sense for you, your lifestyle, your needs as well as to move you forward. There are no smoke and mirrors here, nor is this practice one where you are not held accountable, given what you prefer, rather than what you need or are you told what you want to hear. The personal services offered here go deep and will impact your perspective even on a seed level. Yes, there is LIVE group coaching courses, self-paced programs, LIVE webinars and retreat programs available. To find out more about those, you will see the submenu under the “Work with Me” menu button for the various programs and services offered. Are you available for private events, interview, and speaking engagements? Yes, please contact the office if you would like to discuss your private event or engagement. You can reschedule yourself via the appointment confirmation email that you received from me. If it is less than 24 hours of the time we are scheduled to talk, then you will need to contact the office via email or by phone. You are not charged a re-booking fee. However, there are no refunds on consultations or single coaching services. Coaching packages are bound by the refund agreement they contain. If you are not available at the time of your appointment, you will be called at the second number listed on your appointment request. The same applies for a Skype/Video call. If you are still unreachable, you will be marked as a no-show. If you fail to show for three (3) scheduled appointments you may not be allowed to book services in the future. *We reserve the right to refuse services to anyone at any time and for any reason, we deem necessary, particularly when it disallows you the client from receiving the best service from us. When do consultations and coaching sessions expire? Coaching packages are bound by agreements terms within them and vary per agreement and package. The same applies for Bulk Minute Packages as they are six (6), seven (7), and eight (8) months long in use. Consultations and single coaching sessions purchased at the regular rate are good for use up to 60 days from the date of purchase. Consultations and single coaching sessions purchased at the regular rate are good for use up to 60 days from the date of purchase. Special rates and offers are bound by the expiry date given per special with no exception. We don’t honor special rated services beyond the expiration date. Yes, I do offer couples coaching sessions and consultations. Please contact the office for more information. Do you give negative information you sense, see or know? The truth (as I interpret and see) and what in my professional experience and opinion is what I give. I am not here to tell you what to do with your life but rather assist you with receiving clarity, direction, and knowledge that may be useful. You are in control of your life at all times and I don’t believe in creating co-dependent relationships. With that said, you can expect honesty, no-judgment, tact, and compassion when working with me despite the positive or negative topics discussed.